Loved hearing the whole story! This book opens promisingly with some intriguing questions: who is Tess hiding from? Why is she running away? - but unfortunately as the story develops it becomes very tedious. The main problem is the exceptionally slow pace of the plot. There is a good story in here but it is difficult to find underneath all the padding: endless minute descriptions of mundane events, and far too many long-winded conversations and discussions which don?t serve either to illuminate the characters or move the story along. Tess is supposed to be thirty but a lot of the time she behaves like a silly teenager. The author may have deliberately made her a bit dappy in an attempt to make her character more appealing, but I just found her irritating. Although the descriptions of the locations are very detailed, I never felt that they evoked much of an atmosphere or captured a spirit of place. There are occasional moments of tension and drama, but these are eclipsed by the plodding tempo of the rest of the story. The switches between past and present tense are pointless and annoying. I struggled on to the end, but wished I hadn?t wasted time on the last hour, in which nothing really happens but a parcelling-up into a saccharine happy ending. Whatever Joe?s excuses, I find it quite inconceivable that he ?forgot? to mention to Tess the decision he has made about the house. 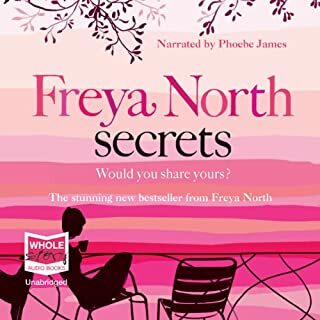 This is the first book I have listened to/read by Freya North, and I?m afraid it doesn?t inspire me to try any of her others. 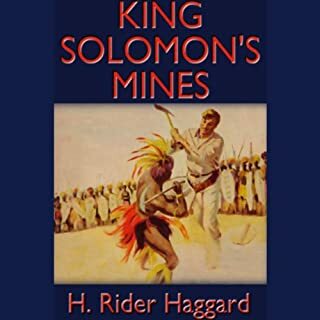 This great novel of African adventure continues to be a favorite among those who love a thrilling tale. Perhaps the reason for its enduring appeal is that it is a story filled with qualities close to the human heart: adventure, discovery, desire for immortality, terror, search for the primitive. As Kipling said of Haggard's work, "It goes, and it grips, and it moves with all the freshness of youth." A ripping yarn! Attitudes a bit outdated now, but great fun. This was one of my mother?s favourite books. She used to quote from it: ?birds in their little nests agree? ; ?don?t let the sun go down upon your anger? ; ?into every life a little rain must fall?, etc. I think she saw the March family as an ideal, and wished that we were more like them. We weren?t (thank heaven). I read it when I was about 12 and remember being singularly unimpressed. 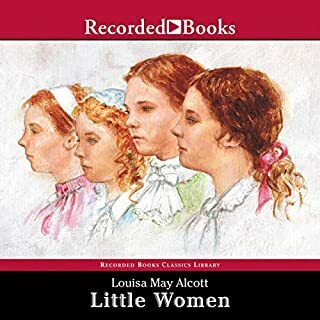 Then I saw it here on Audible and wondered if it might be one of those children?s classics, like Treasure Island, that I would appreciate more as an adult. Well, my mature thoughts are that it?s a sweet book, heartwarming and uplifting ? I just wish it had a little bit more edge. While the sisters encounter disappointment, disagreement and even tragedy, there seems to be nothing that can?t be resolved with a few wise words from Marmee. Even Jo, who is supposed to be the hot-tempered rebel, never does anything really Bad. Now, as then, I can?t quite come to terms with the family?s ?poverty? when they live in what is obviously quite a substantial house with a nice garden, eat lots of delicious food, and employ a housekeeper! It?s nicely read, and if you want something inoffensive and unchallenging, I would thoroughly recommend it. A wonderful old-fashioned melodrama with all the right ingredients: a creepy old inn, lonely moorland, desolate seashore, a feisty heroine, a charming desperado of a hero, a black-hearted villain, a false friend?what more could you want? Daphne du Maurier?s expert plotting stays just within the bounds of possibility, and if her writing sometimes seems a bit clich?d, my guess is that this is because later and lesser authors have copied her style. Nicely read by Tony Britton, whose Cornish accent convinced me about 90% of the time. I had great hopes for this as it had had such good reviews, but was sadly disappointed. It was an excellent idea, let down by serious flaws in the writing and reading. There were countless clumsy metaphors; the author was trying so hard to be clever and original, he kept coming up with things like ?gangly blue eyes? and ?the dark came in pieces?. I was so distracted by considering whether any sort of eyes could truly be described as ?gangly? that I missed the next few sentences! Another irritating trick was the author?s habit of presenting information in the form of lists, when it could easily and more successfully have been woven into the narrative. However, the most annoying thing, as far as I was concerned, was the dreadful German accent employed by Allan Corduner. It sounded ridiculous, like something out of ?Allo Allo?. If the characters had been Germans speaking English, then it would have been appropriate, but as they were Germans speaking German, it didn?t make sense. One of my first Audible downloads was ?Anna Karenina? read by Davina Porter. She didn?t feel the need to put on a funny accent to remind us that the characters were speaking Russian, so why do it here? Because of these shortcomings, the pathos of the story passed me right by, which is a great shame. The debauched celebration of the cabaret era. The magical ascent of cinema. The deprivations of World War I and the build up to World War II. 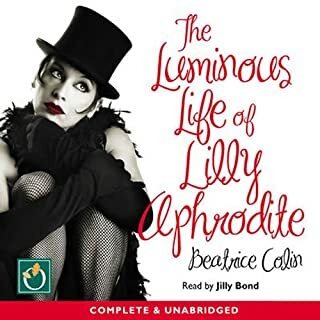 Set against the rise and fall of Berlin and the innovations in art that accompanied it, The Luminous Life of Lilly Aphrodite brilliantly weaves together the story of orphan girl Lilly Nelly Aphrodite's remarkable journey from poverty to film stardom. A more apt title for this would have been ?The Sad and Sordid Life of Lilly Aphrodite? as there is little about poor Lilly?s life that is luminous (except her grey eyes, which are described as such on a couple of occasions). 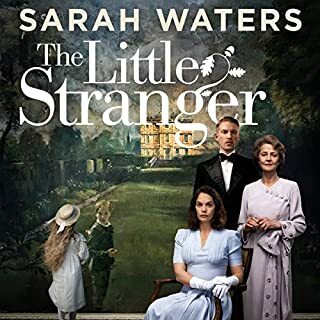 The story takes a long time to get going, with too much emphasis at the start on the rather uninteresting events in the orphanage. Later, the atmosphere of Berlin at the beginning of the 20th century is effectively evoked, but the characters remain curiously wooden. I could find no reason to care much about what happened to Lilly or her companions, so the ending was something of an anti-climax. It doesn?t help that Jilly Bond sounds as though she is reading to a class of six-year-olds, in a high-pitched swooping voice with lots of emphasis. Altogether, a disappointment: it could have been a great story, but was let down by the telling. 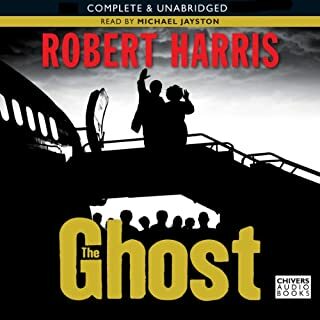 This was my first encounter with Robert Harris, and I enjoyed it very much ? a good, straightforward thriller. Some reviewers have said that the plot is a bit far-fetched, but surely that is the nature of a thriller ? if it dealt with ordinary, everyday events, it wouldn?t be very exciting or intriguing. The story is told in a well-written, straightforward style, without literary pretensions or unnecessary background detail. The world-weary, hard-drinking protagonist remains likeable despite his failings, and although I sort of guessed how it was going to end, the final twist was neatly done. It was beautifully read by Michael Jayston in a smooth, neutral tone that allowed me to lose myself in the story. The only critical comment I would make is that two characters have similar-sounding names: Rhinehart and Rycart. On the printed page this would not have been a problem, but I kept getting mixed up as to who was who. The consensus seems to be that this is not one of Robert Harris?s best books ? in that case I?m delighted, as it means I have lots to look forward to! 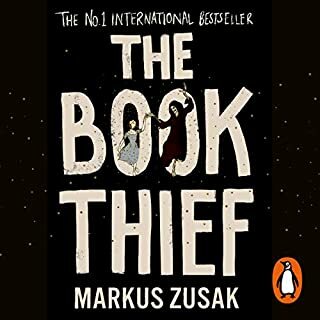 I chose this because I had enjoyed 'The Night Watch' but in fact I think this was better - there were fewer characters and it didn't have that distracting reverse timeline. 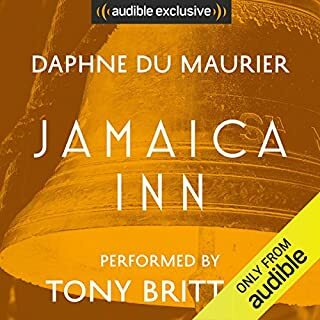 Not having read the blurb I didn't realise it was a ghost story, which was good, because I approached all the creepy happenings with Dr Faraday's scepticism....until near the end. Although the pace is slow, the story is beautifully told, and I was gripped throughout. I was listening to it while gardening. 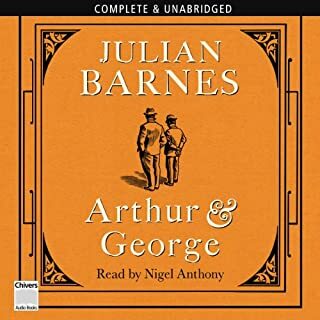 I enjoyed the descriptions of a country house literally falling to pieces around its inhabitants, and the very convincing 1940s atmosphere - how all the doctors smoke - and offer cigarettes to their patients! Those were the days, eh? It is quite brave on the part of the author to have someone like Mike Engleby as the main character (he certainly isn't a 'hero'), as he is thoroughly unpleasant. 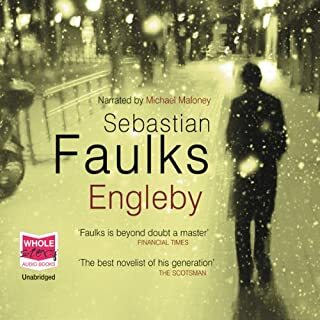 Disturbed, deceitful, dishonest, preoccupied with smoking, drinking and taking illicit drugs, Engleby still managed to engage my interest, if not quite my sympathy. He offers no excuses for his appalling behaviour - the reader/listener has to make up their own mind whether he is mad or just bad. A police officer addresses him as "you little s**t" at one point, and I did rather agree with him. A well-constructed plot with a poignant ending, and an effective evocation of university life in the days when undergrads wore duffel-coats and drank real ale. I'm not sure about the filo pastry, though - I don't think it would have been used for a pub pie until the 1980's. One thing that did get on my nerves was Engleby's philosophising. It slowed down the narrative, and didn't offer any particularly original or thought-provoking insights. I also couldn't see the point of the episodes where Engleby encountered famous figures such as Margaret Thatcher and Ken Livingstone - the way they were depicted was cliched and caricatured. Despite the criticisms, I would certainly recommend this book - it's a gripping story, and very well-read. I suspect that if I had been reading this book rather than listening to it, I might have been tempted to skip bits, as it is rather long-winded in places. However, Julian Barnes is a good enough writer to get away with it, and it builds up into a very rich tapestry indeed. Beautifully-read, too; having once lived in Birmingham for a few years I particularly enjoyed the Midlands accents, which to my ear sounded completely authentic.